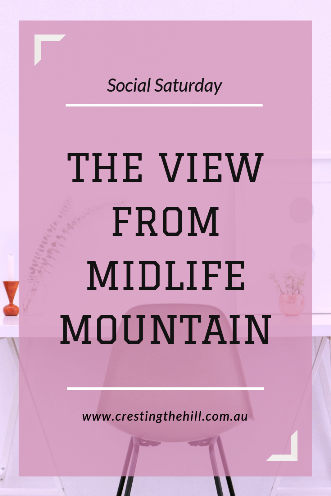 Today is the very last of my Social Saturday guest posts and I have the lovely Lisa Ricard Claro to send us off with a great post about the lessons she learned from downsizing her home to something more manageable for Midlife. She's also offering a fabulous prize to three lucky readers at the end of the post - how great is that? So, without further ado, let me pass you over to Lisa. About two years ago our youngest child flew the nest. The hubster and I rambled around our big family home—five bedrooms, three-and-a-half bathrooms, two full kitchens—until one day we asked ourselves: Why? We had nearly 3,000 square feet of living space and utilized less than half. It was time to downsize—which is a whole lot easier than it sounds. Married almost four decades, we’d raised three kids and accumulated more than we needed for three lifetimes. Add to that everything inherited from our parents, and the attic was crammed to the rafters. There was china enough to set a table for fifty, decades old Halloween costumes, boxes of books, stuffed animals, furniture, myriad tchotchkes, and random items kept because they were wedding gifts, some still in their original boxes. Our abundance—or embarrassing overabundance—was staggering. Or was it? After we began sifting and sorting into piles of keep or toss, we learned something surprising: It was easy, refreshing—freeing, even. Eliminating those things to which we had limited attachment or none at all felt great. As items left our home, weight fell from our shoulders. In her book The Life-Changing Magic of Tidying Up: The Japanese Art of Decluttering and Organizing, author Marie Kondō, creator of the KonMari Method™, talks about learning to identify which items in your home “spark joy” and which do not. I can confirm the value in this, in creating a personal space inclusive of things that bring delight, exclusive of those that don’t. And once the process of shedding begins, it’s amazing how much we can happily do without. Some things are harder to let go of than others. Donating my mother’s grand piano to a church music education program for children brought me to tears. It was my mother’s piano, her prized possession, the one thing she refused to part with during multiple family moves. She’d entrusted me with it and I was giving it away. And yet, down in my bones, I knew she’d be thrilled. Mama would have loved the idea of her beloved piano spending its golden years teaching children a love of music. And in the donation, then, came joy. You’d think our own offspring would have claimed some things, wouldn’t you? Nope. As it turns out, today’s up-and-comers don’t care much about Grandma’s fine china or silver tea set. After all, fragile china can’t go in the dishwasher and silver has to be polished. Who in their right mind wants that? Who, indeed? Not I, said the middle-aged hen. It took months and countless hours to determine the disposition of so many things. Once done, our newfound freedom allowed us to sell that big house to a young and growing family. We packed up our limited belongings and headed south to Florida’s Gulf coast. I’ve always dreamed of living at the beach, and now we’d positioned ourselves to make it happen. We settled into a condo ten minutes from the beach. It’s the perfect size for a beach bum and his silver-haired mermaid, and we miss none of the things we shed in the Big Downsizing of 2017. And guess what? Standing here on top of Middle-Age Mountain offers the perspective to see more clearly than in my younger years those things from which I derive the most enjoyment, and Epicurus was exactly right. Abundance, measured by that which I most enjoy, isn’t a big house, my mother’s piano, or Grandma’s china. It isn’t old wedding gifts or souvenirs from long ago vacations. It is plain and simply the love I am blessed to give and receive, to carry inside me every moment of every day; the joy of family and friends. Now that’s abundance. That old Epicurus—he was really on to something. 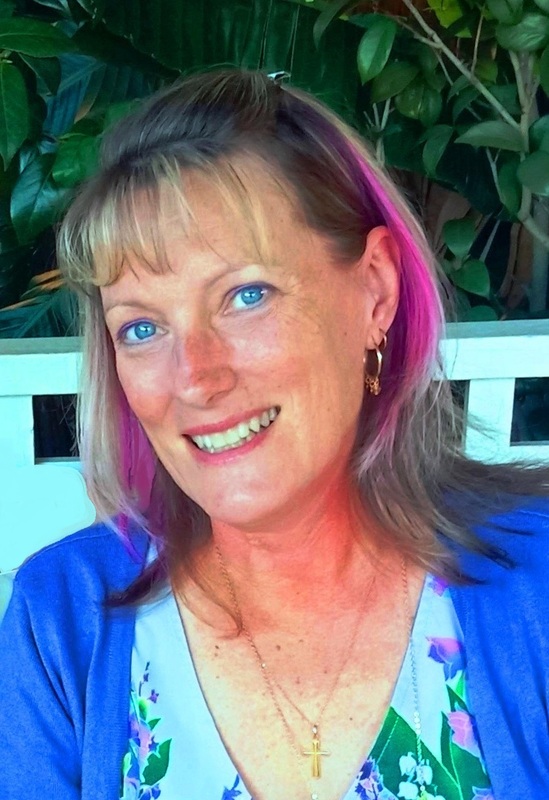 Big thanks to Leanne for hosting me on her blog today! Wishing every reader the joy of true abundance as we journey through this holiday season of gratitude and grace. Hi Lisa, I am Leanne’s mum and I am often getting not so subtle hints from her about decluttering. I know that I should get stuck into selling and giving away a lot of the furniture and collectibles that have accumulated over the years, but thinking about it and doing it are two very different things. Also the kitchen is chock a block with unused appliances, dinner sets, Tupperware and clutter. If only I could get up the energy and incentive to do what needs to be done. Maybe next year. Oops, 2019 is almost here. Time will tell if I get motivated, or not. Wish me luck! Hi Faye - I can attest to how easy it is to procrastinate rather than take on the gargantuan task of decluttering/downsizing. But I promise you, if you just get started, you'll be amazed at how great it makes you feel. Also, letting go of things was a lot easier after I realized that so much of what I was holding onto "for the kids" was stuff they didn't want. And the things they did want I happily gave to them, so they're enjoying them now instead of later. It's really a win-win all around. Go fo it! You'll be surprised at how fun it can be! The good thing is that there are people you can pay to come and do your de-cluttering for you if it's all too hard. I think it would be quite pleasant to sit in a comfy chair while someone sorts out your kitchen cupboards and tosses out the Tupperware etc. It's the big items that are always tricky (like Lisa's Mum's piano) but once they're gone it must feel like a load off your back. It does, Leanne! Especially in the case of the piano, because I knew my mom would approve. Hi, Lisa - What a wise and inspiring post! My husband and I retired from our jobs in Beijing, China three years ago -- so the sorting and moving were a given. Although we are now in our 'retirement home' (or at least the first of them), I still keep an active eye on decluttering. My approach now is to 'fine-tune' by doing a little bit at the time. Whenever I am tidying up a cupboard or a drawer (etc.) I try to take everything out and only put back what I know I will use. We have a local thrift shop right nearby, and I usually drop the newly released items off there the very next time that I go out. For me, this has been very freeing...and helps to prevent clutter from building back up. That being said, my Grandmother's China Cabinet and her saved China are more difficult for me to deal with emotionally. I love the story of your Mother's piano -- it gives me new ideas! Thank you, Leanne, for a wonderful Saturday Series. I have enjoyed it immensely. Hi! Your idea of decluttering as you go is a good one. Something else the hubster and I promised each other was that after we moved, for every new item purchased we would sell or give away two other things. Doing this really makes us think---do we really need/want that (fill in the blank) badly enough to let go of two other items? And which two can we do without? If the new thing doesn't surpass the two things we'd get rid of, we don't buy it. That also prevents a buildup of excess 'stuff'. I've just started doing exactly that Lisa, filling a box to donate every time I feel like we've bought a couple of things that weren't necessities. To clear the back of closets is such a joy. It's a shame we don't all move house/country more often - think of all the stuff we'd cull! The biggest surprise is how much we easily do without! You are so right about only keeping things that create that spark of joy. At least 4 or 5 times a year, I go through my house, pick up my "treasures" and decide which ones are meaningful enough to keep. That technique really works. And after many years, I learned to buy less on whim. I give myself a few minutes to get into a mindful place and decide if I really must have that trinket. It's a sure money saver. Fortunately, I can't stand clutter, so it's not too painful to get rid of things. You're also correct about the china - you can't put most of it in the microwave, so it means more work. Every now and then I think about getting a smaller home, but I love my garden and the location so it doesn't seem likely. In the meantime, I'll keep paring down the contents. One thing about retiring--you definitely don't need so many outfits! I have the same problem with things that have sentimental value - the trouble is that the sentiment often belongs to someone else and I hold onto it out of respect/guilt. I think regular purges are definitely the answer if you live in the same place for a number of years. Yes, Leanne, that type of guilt is in the mix as well. My father-in-law lived with us for eight years. He was well-traveled and had a collection of souvenirs from all around the world. After he passed, it was months before we could even consider what to do with everything. But in the end, they were his special mementos, not ours. Family and friends chose one or two items to remember him by, and the rest we had to part with. It hurt us more than it would have hurt him, because he was so practical. Like my mom with her piano, he would have been the first to say, "No worries. Let it go." This post really resonated with me. Before we had our only child--we were older than most at the time, 29 and 30, everyone told us we needed a larger house. We bought a 1100 square foot home, where we lived for 6 years. We accumulated everything you talked about--the china, the knick-knacks, etc. But our passion was sailing, and we didn't change much after becoming parents--we just incorporated our little friend into it all! When our daughter was 5, we sailed all summer and lived aboard a boat of less than 100 square feet. And it worked wonderfully! We were already minimalists, but the next summer we emptied out our house and signed it back over to the bank. We packed everything that would fit into our Volvo station wagon and drove 1300 miles away, to Houston. We moved onto a 100 square foot boat, then one that was about 200, then finally a cruiser with about 400. Finding our "just right" amount of space and possessions has been liberating. You live on a boat! How cool is that?!! You must have wonderful stories to tell. My husband and I are on our second downsizing in less than two years. The first one saw us putting a lot of stuff in storage. But this time, we're going through those items and really doing the keep or throw or donate model a run for its money. We don't want to cart all of these items from New England to Florida...which is our next move too! The longer the move, the greater the cull Jennifer. The only thing worse that storing stuff is paying to move it to another State/country - especially when you find it's not a necessity. Maybe the first move was to get the ball rolling and now you can finish what you started - good luck! This has been a great series Leanne and I'm thrilled to have been included. 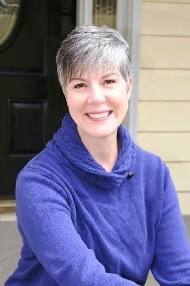 I will miss your Saturday posts but wish you well on your own downsizing project on your blog. I enjoyed Lisa's post and can see the merit in making these changes along the way. Thanks or sharing your tips and story with us Lisa. I'm going to miss my Social Saturday guests too Deb - I might even do a random series next year so I can share some more of the love! Lisa has taken the series out with a bang and this post was a great way to finish things up wasn't it? Hi Debbie - Thanks for commenting. I'm new to Leanne's blog, so I've got a lot of archive reading to do! Hi Lori Jo - We actually moved here from Lawrenceville, which is about 30 miles northeast of Atlanta. It was either the Gulf coast or the North Georgia Mountains (I love Blairsville and Hiawassee), but in the end it was an easy choice. Good luck with your downsizing and future move! Lori Jo you're going to be so excited when you find the perfect place and do your big move. I can hear the readiness for it in your writing! So many people in the US long for the lifestyle you're planning - you'll be the envy of all those who haven't got there yet! Lisa - a great read! I've never been one to accumulate too much but appreciate now an opportunity here and there to buy something nice for myself after years of going without. My adventure is balancing my desire to toss and keep the bare minimum with my husband's love of collecting! I appreciate his hobby (and it makes for easy, inexpensive purchase of gifts when I'm traveling or at the holidays) - but we've struck a good balance with 'stuff' (broken, old, no longer useful) that accumulates. That said, I cherish an abundance of time to an abundance of things any day! Time to work, play, relax, spend time with family and friends. Thanks for a thoughtful post! Leanne - what a great ending to your Saturday series! Sorry to see it go -- but glad you shared it while you did. I loved the "abundance of time rather than the abundance of things" Janet - you're so right, and the less stuff you have, the more time you have for the things you love. It ties in well with Lisa's Epicuris reference. Hi Janet - It's funny how "more stuff" translates into "more time spent", isn't it? The more trinkets I display the longer it takes to dust and clean everything. Same with my mom's silver. As a kid my Saturday mornings were spent polishing. Ugh! Time is a precious commodity! I often think that too Heather - when I see people with a lot of messy clutter that they are always hunting through to find stuff. So much easier to have less and to know where everything is. Hi Heather - Clutter tends to beget more clutter, too! lol We don't clutter much, but we do have one counter which, if not deliberately cleaned daily, collects all manner of things. It's a small, easily accessible space near the front door, so it's where we drop the mail, our keys, or whatever we happen to be holding when we come home. After a couple days---oh, my goodness! We can't let it go or there's a mountain of stuff, most of it junk mail. Easier to be sure it's cleaned up every evening! This is really interesting, as the two of us moved from a tiny 2 bed house to a larger 4 bed house and are loving the space! We moved at short notice so we couldn't throw/donate before we moved but have done a lot since - and the freedom and clear space around us is wonderful to fee. That sense of space would be a wonderful side benefit of your move Vanessa - the challenge will be to not think you have to fill it all up. We have a lot of open space in our house and I love the sense of "room to breathe" that it gives us. Hi Vanessa - I agree that space brings relief. We're fortunate in that our condo has vaulted ceilings and tons big picture windows that give us the feeling of a wide open space. As happy as I am with our downsizing, I don't think I could handle living in one of the "tiny houses" that are now a fad. The "room to breathe" Leanne mentioned is important, too. It's hard if you have a sentimental streak. Fortunately I missed out on that gene and I'm happy for all my Mum's stuff to go to other people when the time comes to clear out her place. There won't be any fights in our family over her antiques etc. I'm not at this stage of life yet, Lisa but I did enjoy reading your perspective about empty nesting. Thank you. Hi SSG - Leanne makes a good point about thinking ahead. But sometimes it's just so difficult to limit what we collect, especially when "empty nesting" isn't on your radar yet. The one thing I can promise is this: Once you get started you'll be happy you did, and with each thing out the door the process becomes easier. I didn't believe it until we did it, but it's true! I totally agree with all you've said. 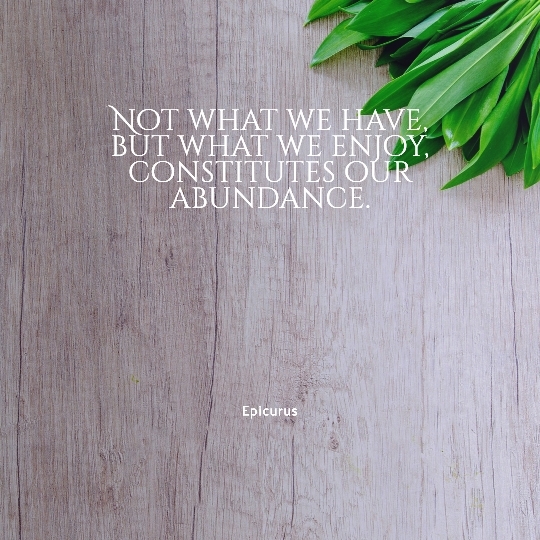 Stuff doesn't equal abundance. We did a similar thing when we left Sydney for the beach a couple of years ago. I didn't quite manage to get rid of Grandma's china - and our daughter has already announced she's not interested in it. We have less now - both stuff and income, but atthe same time we have so much more. I think that sums it up Jo - you can have less income if you own/need less stuff. It costs less to live a simple life and you have so much more time to enjoy living it instead of suffocating under the piles of accumulation! Hi Lisa, I did a major decluttering when we did a downsizing. Not as big as yours but from 4 bed 3800 sq ft to 2 bed 2000 sq ft. Unfortunately hubby is more of a hoarder and I cannot get him to give up the collections of his things nor the "we might need it" stuff. So we still have a full basement, garage and attic at the new 2000 sq ft house! I wish it wasn't so. I avoid the basement and attic spaces mostly... a bit of out of sight, out of mind. BTW - where on the Gulf Coast... we have a place near St Pete and are snow birding this winter! Hi Pat - I don't know how you manage with a husband who holds onto stuff - whenever my husband starts to add more stuff into our lives I start getting twitchy! It shows the love and compromise that goes into a good marriage doesn't it? Also a good plan not to go upstairs (or downstairs to the basement) too often! Hi Patricia - We're in Venice, so you're only about an hour or so from us. :) Is this your first year as a snowbird, or do you come every year? Lovely post as always, Lisa. After the holidays, I must definitely get in gear and take a long hard look at the basement. She writes beautifully doesn't she Pat? I'm so pleased Lisa decided to join us here on my Social Saturday series - she's been a great finale to the year. That was a great read and practical for us all. I know we can de-clutter more but having had a few moves in 4 years I am ready to have a break. Thank you for linking up for #lifethisweek. Next week's optional prompt is Taking Stock. Denyse. Hi Denise - Yes, moving is a great motivator to de-cluttering. And it sounds like you're an expert! Lisa, you are a wise woman. Decluttering makes room for what we need, not just what we want. Sadly, my daughter bought two sets of China for her children who aren't the least bit interested either. My mom was a minimalist. She didn't require things, and gave love abundantly. trying to live by her example. 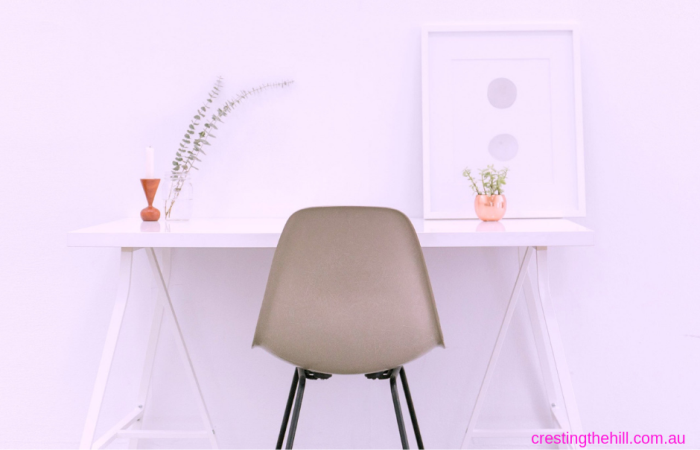 Linda - thanks so much for stopping by and leaving a comment :) I particularly loved "Decluttering makes room for what we need, not just what we want" - very well said! There is so much waste these days - not buying unnecessary stuff saves adding to the problem. Hi Linda - Your mom was a smart lady. At the end of the day, the kids aren't going to care about "stuff" as they will have accumulated plenty of their own. But they will remember the love and carry it with them always. Thank you Lisa and Leanne. A wonderful and practical post that makes a lot of sense. We will feature this post on the next Blogger's Pit Stop to inspire more Blogger's to find this freedom from 'stuff'.